In pursuit of higher wattage, the size of BOX MODs gets bigger and bigger. Nowadays there are two plus-size giant MODs that come to our sight. Disregarding of the poor portability, extraordinary high wattage becomes the primary selling point. Today we make a brief comparison on the Athena Hero 240W TC MOD and the VapeCige Bigger DNA 200W TC MOD. Bigger DNA 200W was brought to my sight via WeChat, a Chinese local instant messaging software with vapers publishing the review done by RiP Trippers. I was like wow, look at this beast, since when Chinese vapers started using huge size MODs? I mean, it is big! 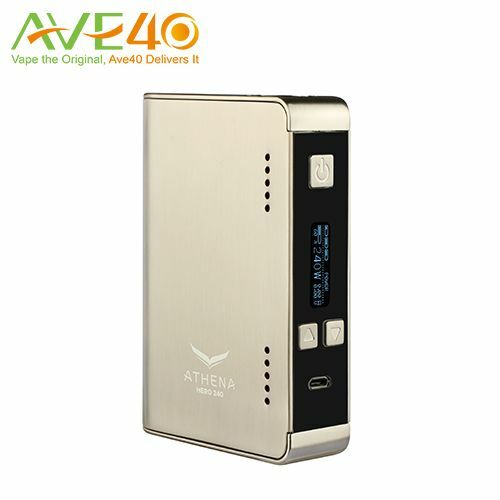 Similarly, there is a 240W Athena Hero TC MOD. Yeah you read it right, 240W. With the length 70.5mm, height 101.7mm, and width 24mm, it is almost of the same size of the Bigger DNA (length 83mm, height 97mm, width 26mm). It seems you need to have a big palm to hold it firmly. Powered by triple 18650s, the Hero 240W sports Ni Temp, SS Temp, and Ti Temp modes. Once you've set your desired maximum temperature, the chip will automatically detect the change in the coil material’s resistance and calculate the current temperature. In terms of the chipset, the Hero 240W is updated with explosion protection, short circuit protection, low voltage protection, overheating protection for a safer experience when vaping all the way to 240W. Here’s the question, 240W is a new height of mods power, has anyone that comes across ever tried at such a high wattage? Would it make a good competition mod in vape championship? And if you like more information about the Hero 240W, please feel free to drop by our site https://www.ave40.com/store/athena-hero-...c-mod.html. Vendors can email us at marketing@ave40.com.cn for upgrading to a wholesale account and navigate thru the whole ordering process within just a few clicks. 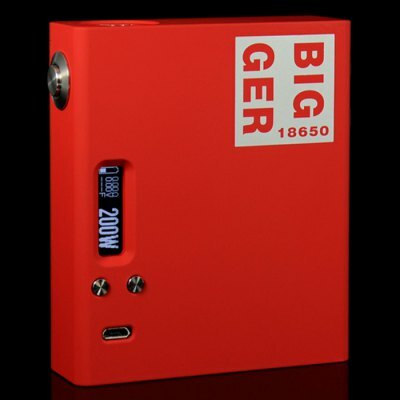 Personally I think 200W+ needs at least 4 18650's of good quality or a suitable 4S LiPo pack.